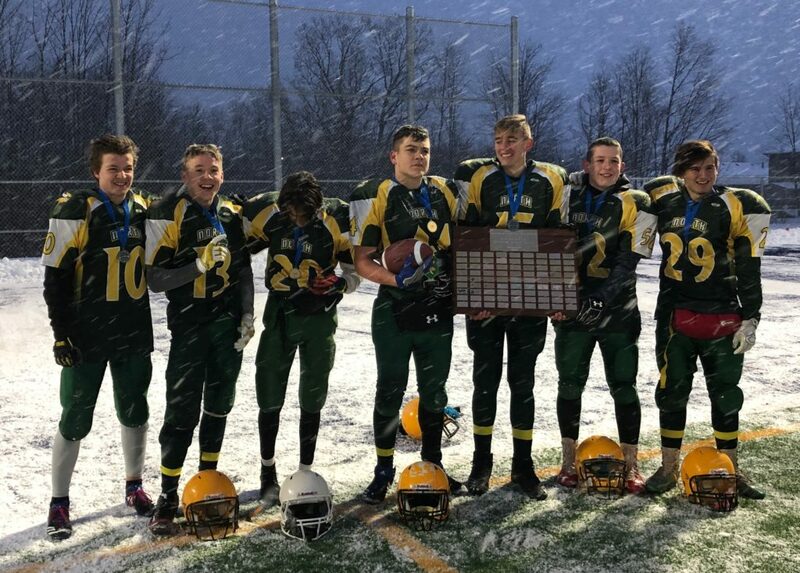 The Barrie North Collegiate Jr Vikings captured the GBSSA “AAA” Jr Football championship on Thursday Nov. 15th by defeating the St. Joan of Arc Knights 54-0. That championship win capped off undefeated SCAA regular and playoff seasons. ESCNA will have Sr “A” teams competing in both Boys volleyball and Girls basketball at the OFSAA championships which will be held Nov. 22nd-24th in Belleville and North Bay respectively. OSS will be sending their Sr Girls basketball team to London to compete in the “AAA” OFSAA championship tournament from Nov. 21st – 24th. The OSS Nighthawks Sr and Jr girls basketball teams were host to JOA on Nov. 13th for the “AAA” GBSSA championships. In the Sr game OSS defeated JOA 52-33. The Jr game saw OSS defeat JOA 81-25. The Sr team will now compete in the OFSAA championship tournament which takes place in London from Nov. 21st-24th. The ESCNA Tornades captured SCAA championships in Sr & Jr “A” girls basketball and Sr & Jr “A” boys volleyball this fall season. As a result ESCNA will host Sr and Jr “A” GBSSA girls basketball championships on Nov. 13th and Sr and Jr “A” GBSSA boys volleyball championships on Nov. 15th. ESCNA will be hosting the MPS champions in the GBSSA championships. Winners in the Sr divisions of both girls basketball and boys volleyball will advance to the “A” OFSSA championship tournaments. 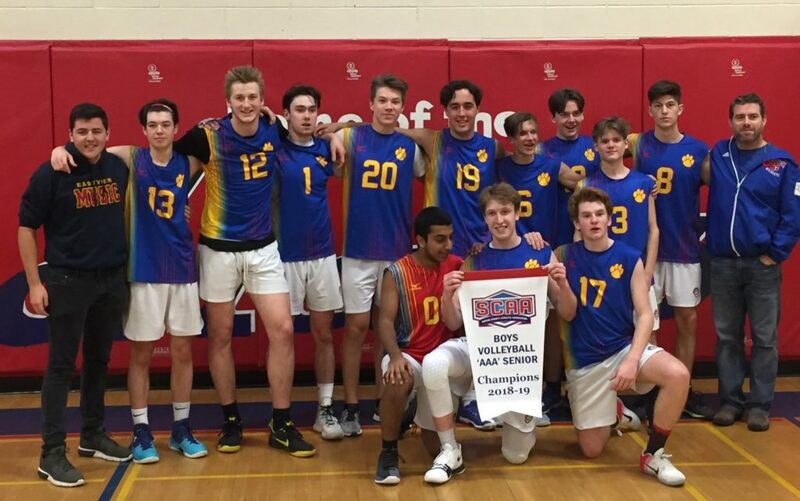 The Eastview Wildcats won the SCAA AAA Sr boys volleyball championship on Nov. 9th by defeating the Bear Creek Kodiaks in 3 sets (25-14, 25-23, 25-21). ESS will now host St. Peter’s in the GBSSA AAA Sr boys championship at Eastview on Nov. 14th (1:30 pm). 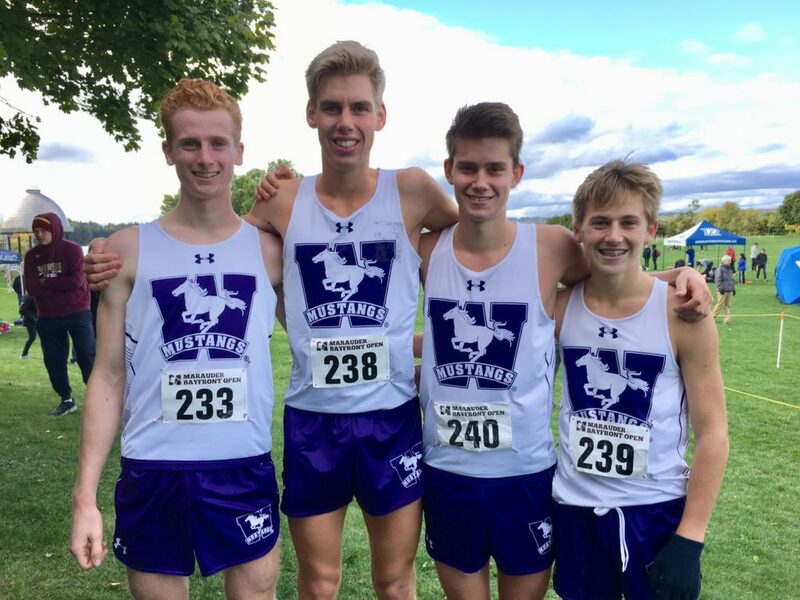 The winner will advance to the OFSAA championship tournament. 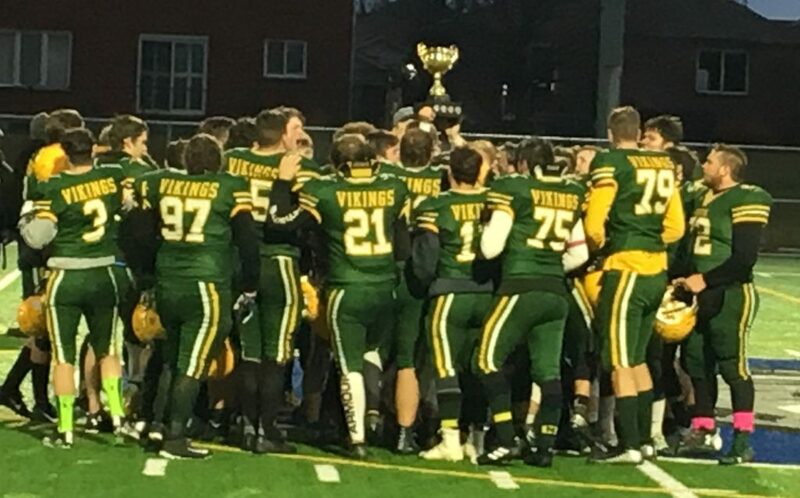 The Barrie North Vikings defeated the Eastview Wildcats 8-6 in the SCAA AAA Sr Football championship final which was played Nov. 8th at the J.C. Massie field at Georgian College. The Vikings will now play the JOA Knights in the Sr AAA GBSSA football championship on Nov. 17th at 12:00 pm at the J.C. Massie field at Georgian College. The winner of that game will advance to an OFSSA bowl game. 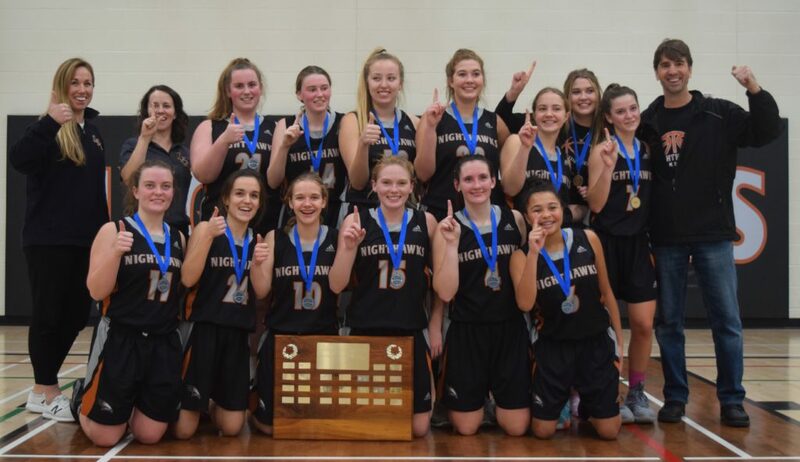 The OSS Nighthawks Sr girls basketball team defeated the ESS Wildcats 44-37 on Nov. 8th to capture the SCAA AAA championship. 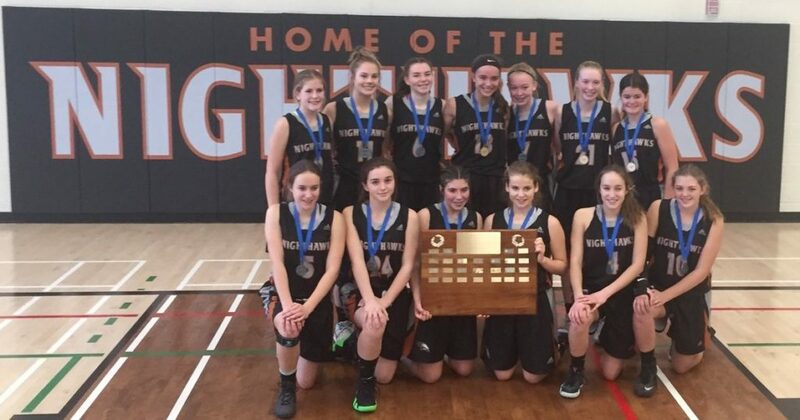 The OSS Jr girls basketball team defeated the CCI Fighting Owls 53-28 in the SCAA championship final on Nov. 8th. OSS will now host the Sr and Jr GBSSA AAA girls basketball championships on Nov. 13th. The opponent for both games will be JOA. 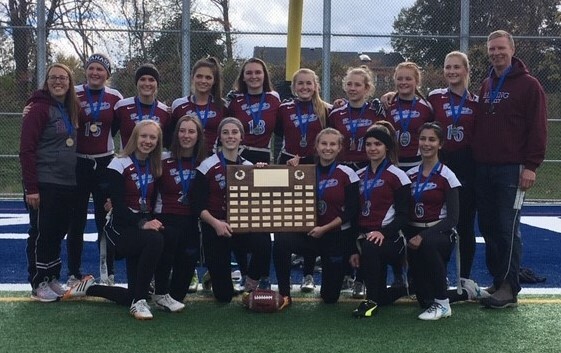 The BMHS Sr girls flag football team captured the GBSSA Sr AAA title on Oct. 25th by defeating JOA 13-0. 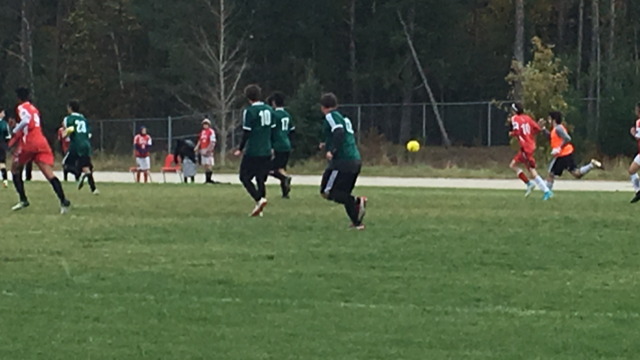 The NPSS Timberwolves were defeated by Patrick Fogarty in the GBSSA Semi-Final on Oct. 24th. The game ended in a tie after regulation play. Two overtime periods resulted in a continued tied game. A shootout was then used to break the tie and Patrick Fogarty prevailed 4-2. The loss ends the Timberwolves outstanding season. Patrick Fogarty will play next week in the GBSSA final against the MPS champion. The winner of that game will advance to the OFSAA championship tournament in the spring.